Cavernous arena that has a rich history of live gigs. Every major act of the last 30 years has performed here. We’re looking to build a complete history of all the bands who have played at the NEC but we need your help. 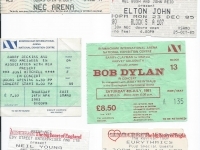 Ron Brinsdon has sent in these ticket stubs of some of the gigs he has been to at the NEC. 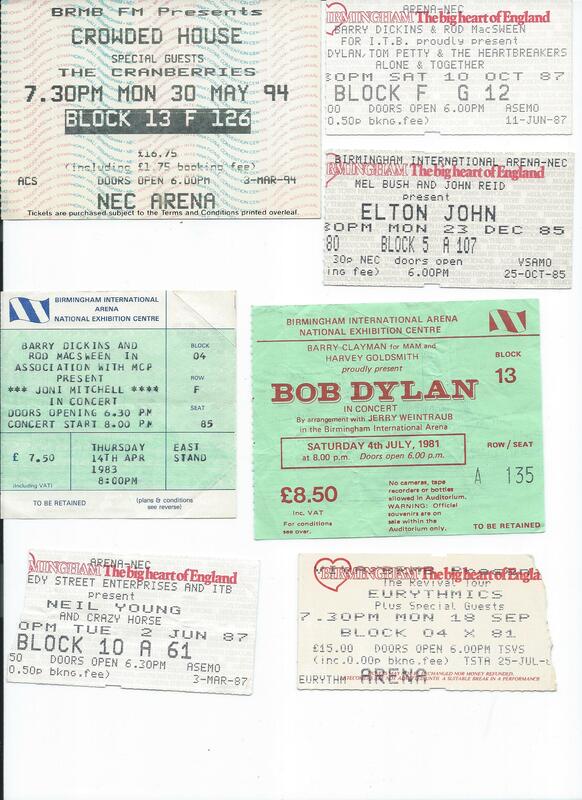 Steve T has sent in these ticket stubs of some of the gigs he’s been to at the NEC. 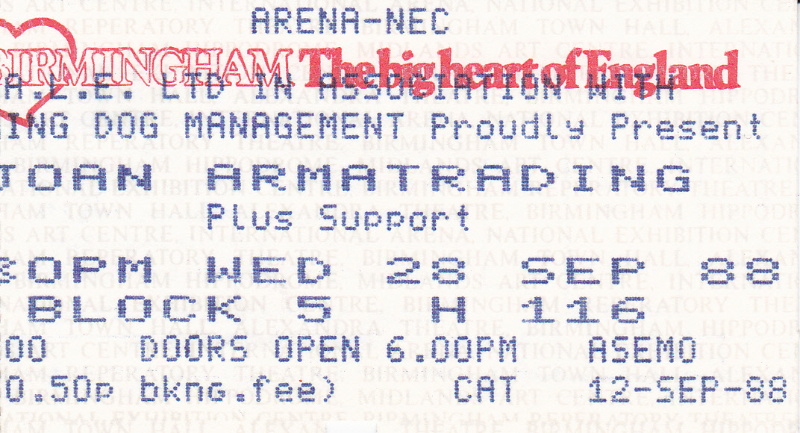 This was the second time I’d seen The Who, and this gig was the first of two warm-ups at the NEC prior to them embarking on their ‘final’ tour of the US and Canada (it would be their last UK gig for seven years though, apart from Live Aid). They were on superb form. Rarely have I seen a band with energy levels this high! Started off with a Pink Floyd ‘greatest hits’ set, and after an intermission followed with The Pros and Cons of Hitch-hiking in full. Eric Clapton was on guitar. Brilliant. Paul Rodgers and Jimmy Page’s band from the mid-1980s. 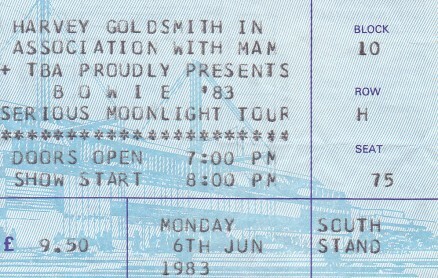 I’d seen them the previous December at Hammersmith Odeon. They were good, but their albums were somehow a bit ‘flat’. Didn’t match up to their previous pedigree, which was a pity. If only Pagey had been with this bloke! This wasn’t long after Zeppelin’s appearance at Live Aid, and when the crowd cheered in response to his greeting “good evening!” he said: “I’ve heard it louder than that recently”. An excellent gig complete with ‘Honeydrippers’ set. This was an absolute belter!!! This was really something. When George Harrison was (almost literally) dragged out, the place went mental! This was ELO’s last gig with Jeff Lynne too. As far as I’m aware this was Clapton’s first gig without a second guitarist since Derek And The Dominos in the very early 70s. He absolutely played out of his skin. Phil Collins reminded everybody what a great drummer he is too. This was the Deep Purple Mk II reunion and they were really rather majestic. Bad Company without Paul Rodgers were adequate. This was the Joshua Tree tour, and is one of the most uplifting gigs I’ve ever been to. Roger McGuinn was brilliant as were Tom Petty & The Heartbreakers. Unfortunately Dylan looked as if he would rather be somewhere else. At best a perfunctory performance. Page and Plant take their UnLedded show on the road. All kinds of weird and wonderful musicians playing all kinds of weird and wonderful instruments! A reunion of the original Sabbath line-up. We were lucky enough to have tenth row seats (which is close for the NEC!) and could see what looked like terror in Ozzy’s eyes. It was only several years later that I discovered that Ozzy suffers from terrible stage fright! Who’d have thought it?!!! Absolutely superb gig though. Bostin’! 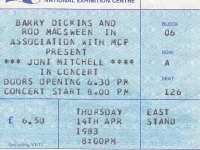 can anyone tell me of a country&western band that has played the Nec Bham .Possibly called j k and with northern Ireland connections. Im fairly sure I saw the first act to play the NEC. As far as I remember it was Rory Gallagher. I might however be wrong so if anyone knows any different………? 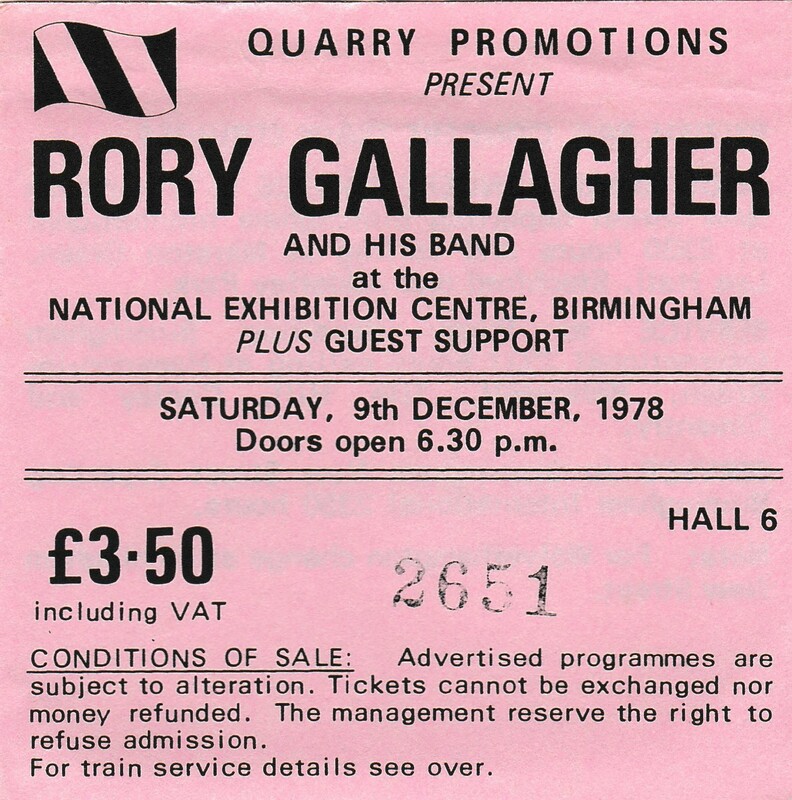 I was at the Rory Gallagher concert at the NEC too and it certainly was the first ever concert held there on Sat 9th December 1978. 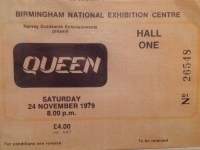 I have seen some comments suggesting that it was held in the NEC Arena but this was not opened until 1980. If memory serves, it was actually in Exhibition Hall 5. It was just like a big tin shed with a concrete floor (no seats) and an a stage plonked in the middle. The acoustics were awful and the roof was bouncing up and down but it was a great concert nevertheless. Yes, it was Hall 5. Remember it well. Great atmosphere but poor sound. 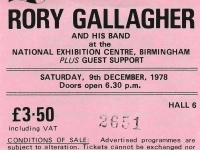 Further to my comment on Oct 16th 2014, my pal still has his Rory Gallagher ticket stub. Please find image attached. Yes, it was Hall 6, not Hall 5. Yes I am sure it was Rory Gallagher. Reportedly as a gesture to check the acoustics of the venue. There were thick curtains around. I think the actual band to play first would the support act Bram Tchaikovsky. I think it was Bram Tchaikovsky’s Battle Axe and he had been in the Motors. I remember singing ‘Rory, Rory tell us a story’ at the end and climbing up the wooden panels at the side of the stage and getting a clenched fist response from the great man ! I’m hoping to find out the “official” name of the NEC Arena particularly for years 1985-1992. 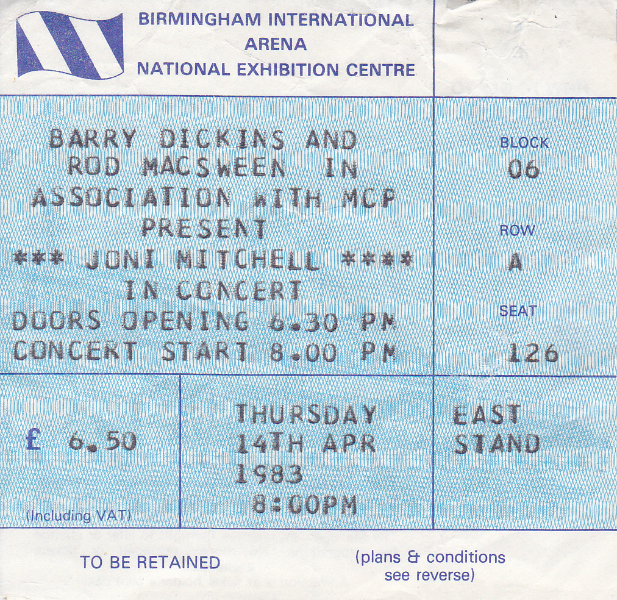 I often see it written as “NEC Arena” on poster etc., however I’ve seen a bunch of ticket scans, Bruce Springsteen, Bowie, The Cure etc, that says “Birmingham International Arena”. 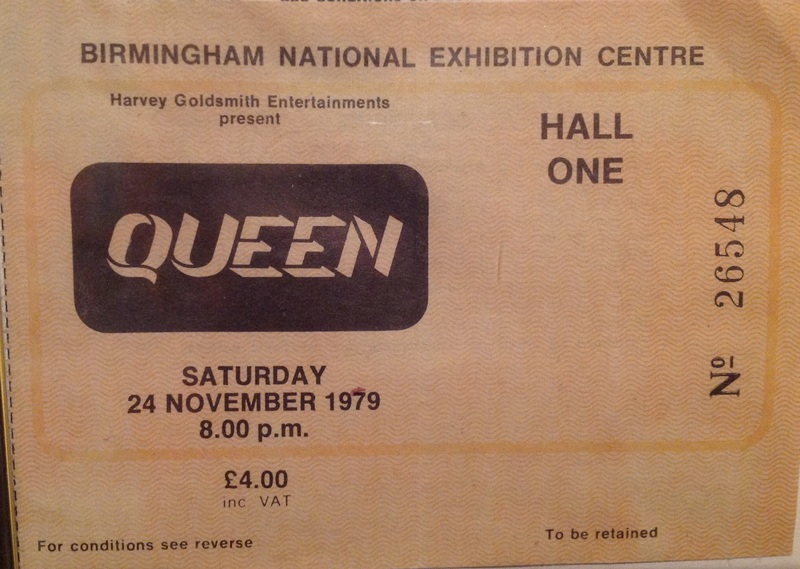 Was “Birmingham International Arena” actually the “official” name? 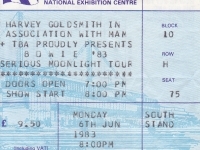 I saw REM play the NEC on Wed 11 May 89. 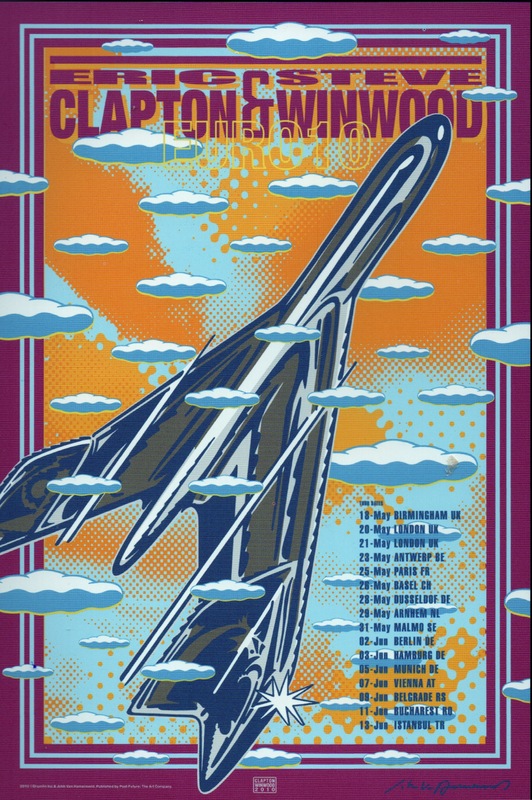 The green tour . 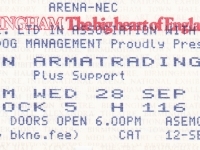 The ticket just says Arena on the front but in the press the adverts used to say Birmingham NEC. I hated the concert and that was the last time I have ever been to a large venue. Too impersonal . 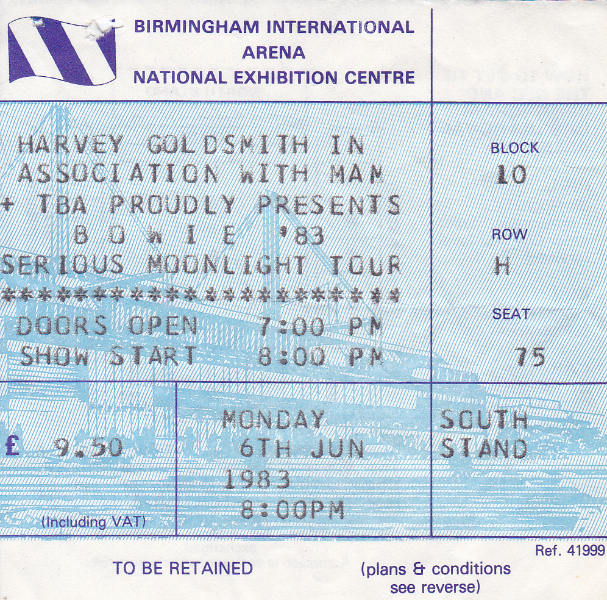 I had seen REM play many times previously including the first time they played in Birmingham at a very memorable evening at the Tin can club in Spring 1984. Paid at the door so no ticket ! 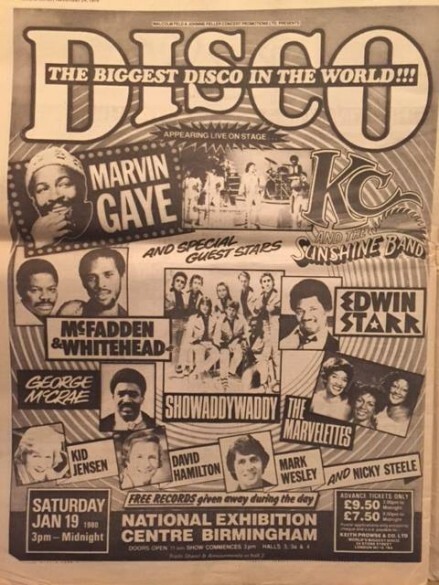 Going back to the very beginning of the NEC, ‘City Boy’ were one of the bands who played the opening weekend back in 1976 (? ), when the doors were flung open to local residents and visitors to trial all of the car parks, catering, toilets etc. Anyone else remember that weekend?